I know what you're thinking- you took one look at the above pic and you're eyes popped and your mouth dropped! And I just have to say- Yes! 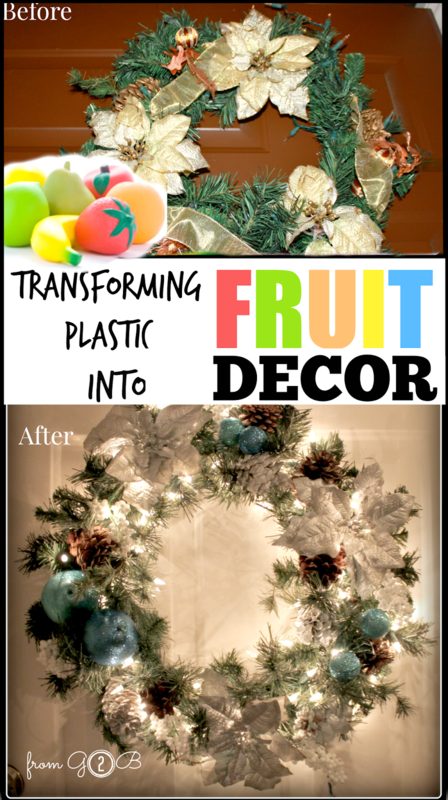 That is the exact same wreath with the exact same flowers and decorations- with the exception of some added plastic fruit and baby breathe! Doesn't that sound ridiculously easy? You can buy a new wreathe for 30-50 bucks, or you can get an old decrepit one, like mine, for nearly nothing. The baby's breathe came on a gift I received, the fruit came from the Dollar Store for exactly 1$, and the paint I had on hand. This whole transformation cost 1$. 1. Strip the wreathe of all its garnish. I literally spray painted everything! All the flowers, fabric decor the plastic fruit, and many of the pine cones. 2. 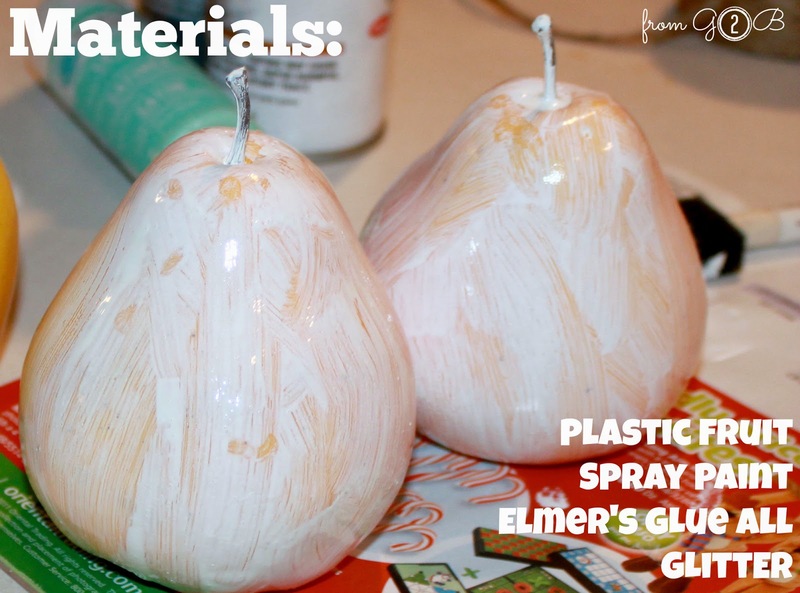 I used a paint brush to cover the plastic fruit and some of the decorations with Elmer's Glue-All Multi-Purpose Glue . 3. I used the Martha Stewart Crafts Glitter Set - it's a very sparkly glitter that has great coverage and shine. Just cover your item completely. It dries in 30+ minutes. 4. 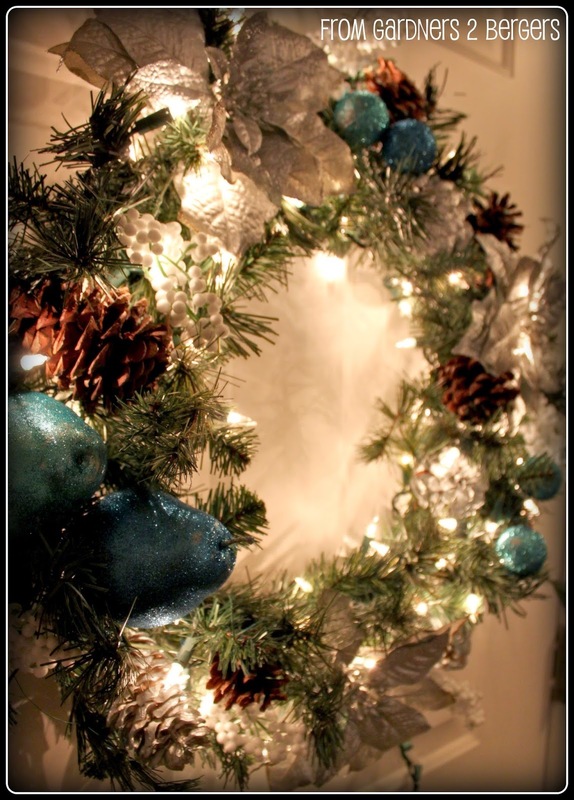 I used hot glue to attach the decor back to the wreath. 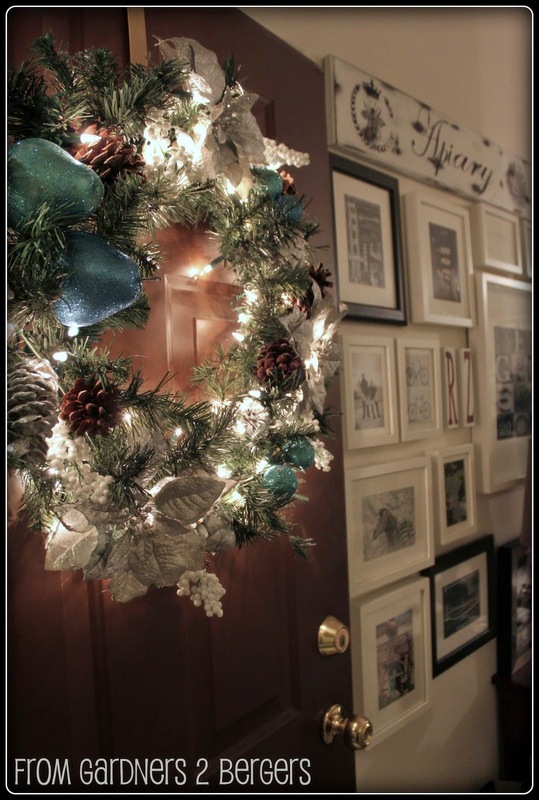 Make sure you embed it close to the wreathes base so it will last. That's all there was to it! 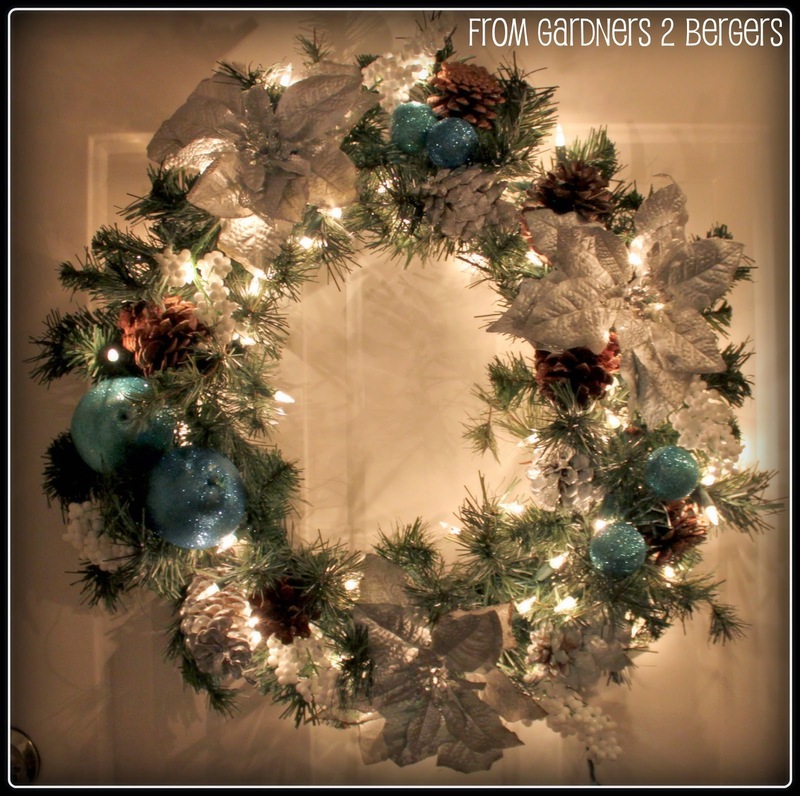 Just a fun little makeover with nearly free and now I can a few more years from this formerly tired wreath. Tomorrow stop by for the party features and Wednesday I'm introducing a brand new fg2b contributor!